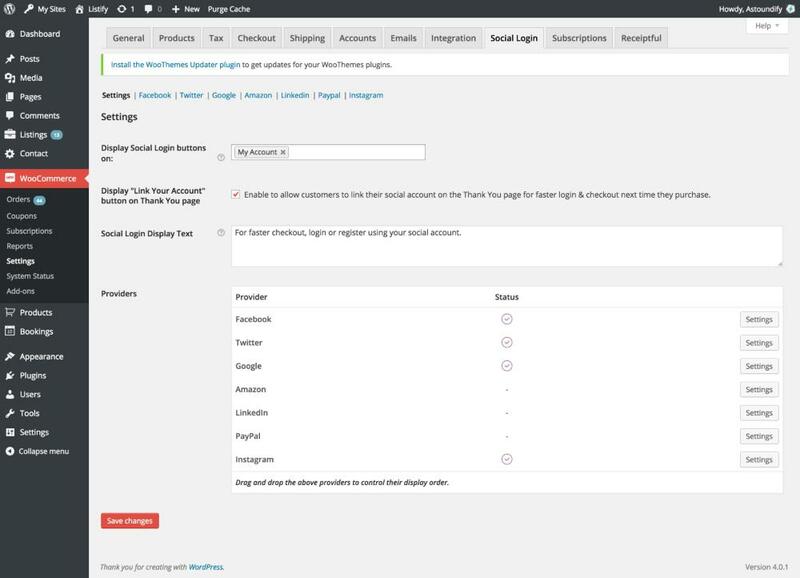 In order to display the social login option on your login page and my account page you must first purchase and installed the WooCommerce Social Login plugin. 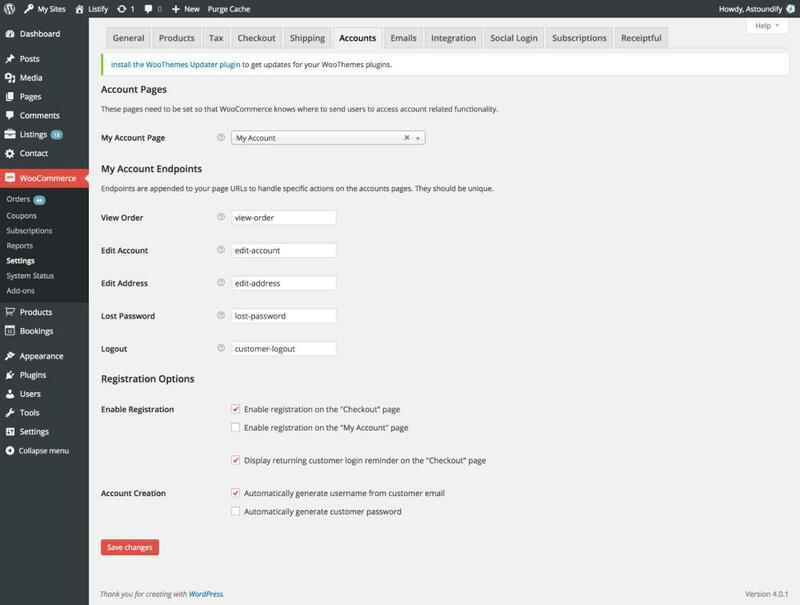 To learn how to setup the WooCommerce Social Login please refer to the setup guide on the WooThemes documentation area. My Social Login doesn't display on the login forms (please ensure your settings are the same as the screen shots below). Note: The important part is "Display Social Login buttons on:" being set to your "My Account" page.